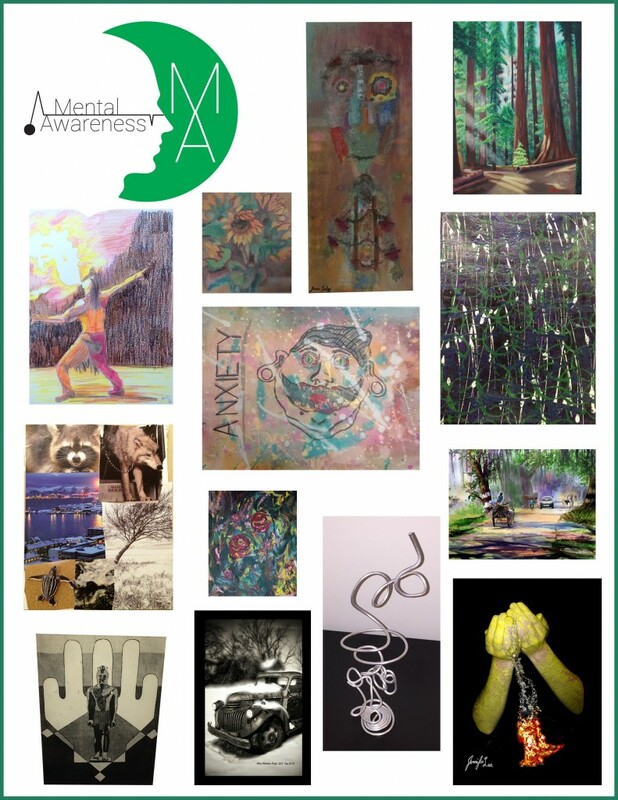 Art and artistic expression are an important part of healing and communicating about mental illness. 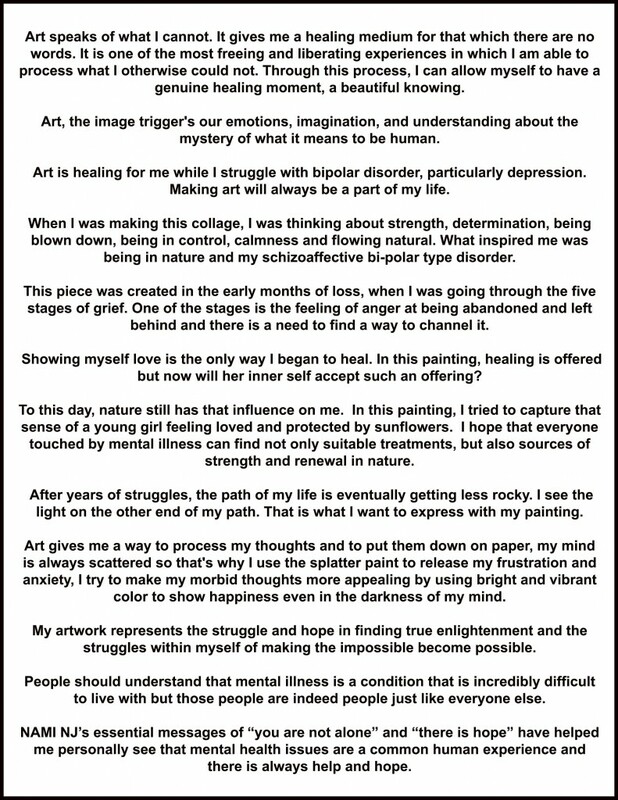 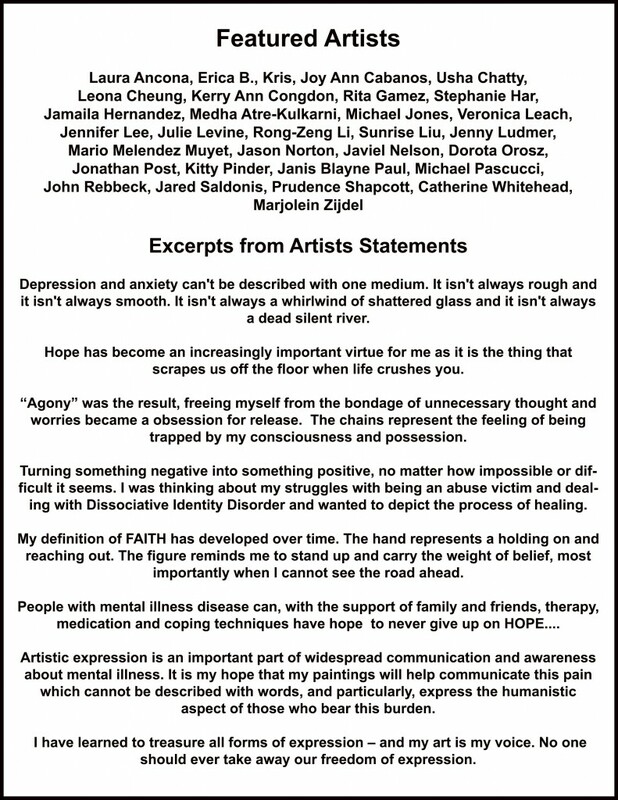 “Healing through Art” was a project of NAMI NJ Dara Axelrod Expressive Arts Network. 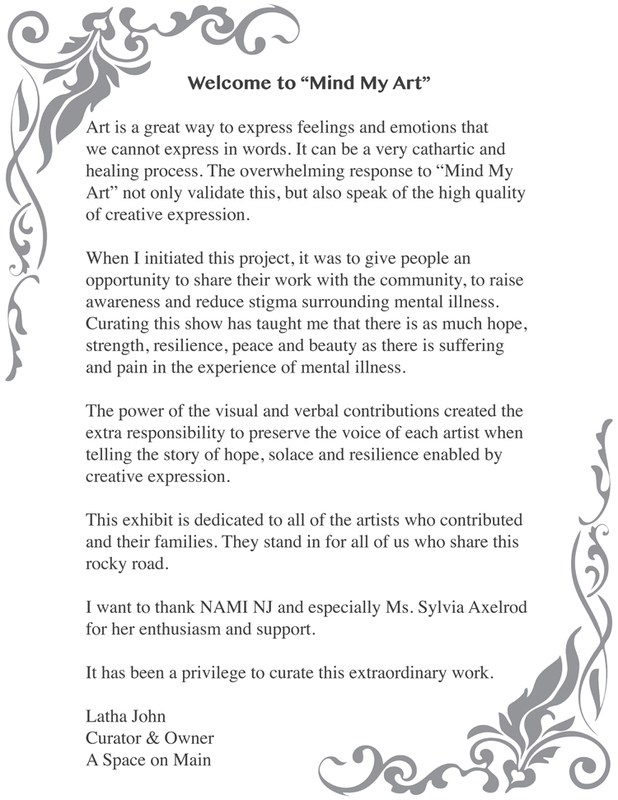 Through the initiative and active support of Ms. Latha John, artist and gallerist, this project provided opportunities for members of our community to express themselves through painting, collages, photography, sculpture and other media. 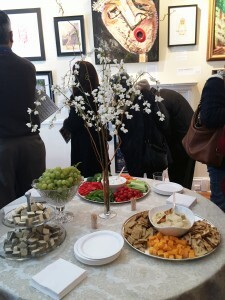 Our artists had the opportunity in 2015 to exhibit their work as part of themed exhibits at A Space on Main at 61 N Main Street, Cranbury, NJ 08512. 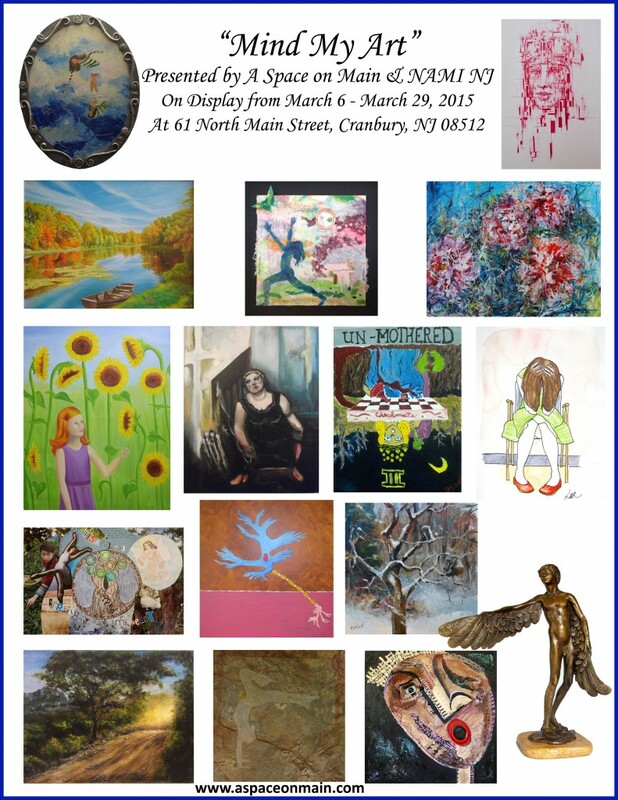 The exhibit “Mind My Art” was successfully held from March 6 through March 29, 2015.